Process all ingredients in the food processor with “S” blade until smooth. This recipe will keep in the fridge for a few days. Great spread on celery carrot or cucumber sticks. 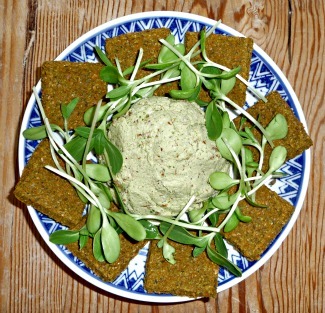 Shown in photo with raw vegetable crackers and sunflower sprouts.